Rebling recently developed a new accessory product for our MS25182-2 (Rebling #7007) 4 wire quick disconnect plug. It’s a protective cap and grommet that’s designed to seal the connector and protect it from FOD ‘s (foreign object debris). 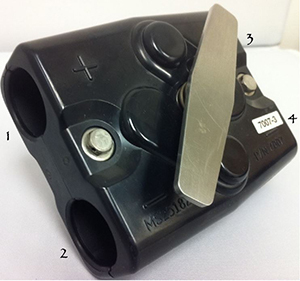 This product was originally developed with Airbus to alleviate their concern of having an open connector on a live battery, and to protect the connector internally from outside objects. Most applications for this connector only use two of the four openings. This leaves an open end, which can be a FOD (foreign object debris) concern. Rebling tooled up covers for those openings. They also manufacture five different sized grommets that protect the cable insulation as well as close any gaps on the cable end.